Parking en arrière du restaurant (entrée rue St-Gabriel). Parking at the back of the restaurant (entrance on St-Gabriel street). Great location for weddings! Contact us for additional information. Quel que soit l'événement que vous avez à organiser, il nous fera plaisir de vous préparer un menu de groupe selon vos goûts et votre budget. Any event you have in mind, we'll find a way to feet your needs and your budget. More than a restaurant, it’s an institution: quality AAA aged beef, cooked to perfection, for over three decades. You’ll love the classic atmosphere, warm and welcoming. The restaurant is situated directly on St. Paul Street in a beautiful, century-old structure. Inside, you’re greeted by old stone walls, wood floors, cozy fireplaces and an attentive staff. 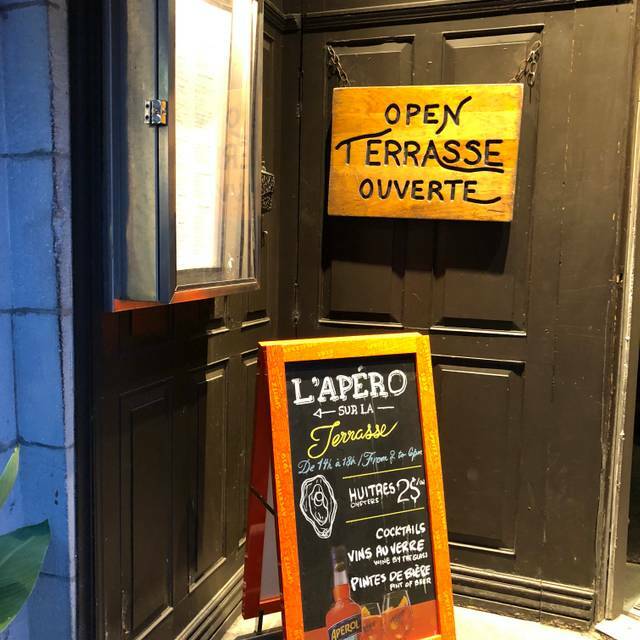 Located on Saint-Gabriel street, surrounded by beautiful old buildings, the magnificent garden courtyard of Old Port Steakhouse will charm you. The picturesque stone walls that surround it and its beautiful greenery make it an unparalleled place to enjoy the summer weather in complete privacy. Its new decor includes an outdoor bar, ideal for a drink. 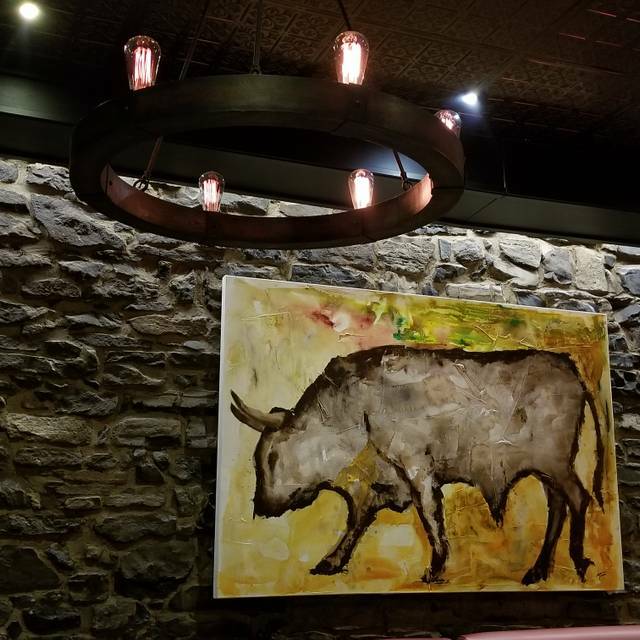 The Old Port Steakhouse terrace also offers you the opportunity to dine, dine and new this year, to brag à la carte, all with the same quality standards as the Old Port Steakhouse. Great drinks, very helpful staff and cozy and relaxed atmosphere. 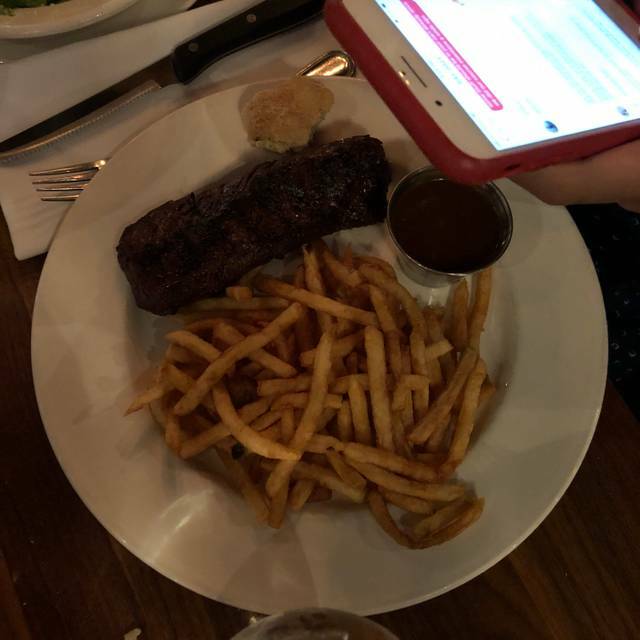 Le personnel de Vieux-Port Steakhouse est toujours au petit soin avec nous. 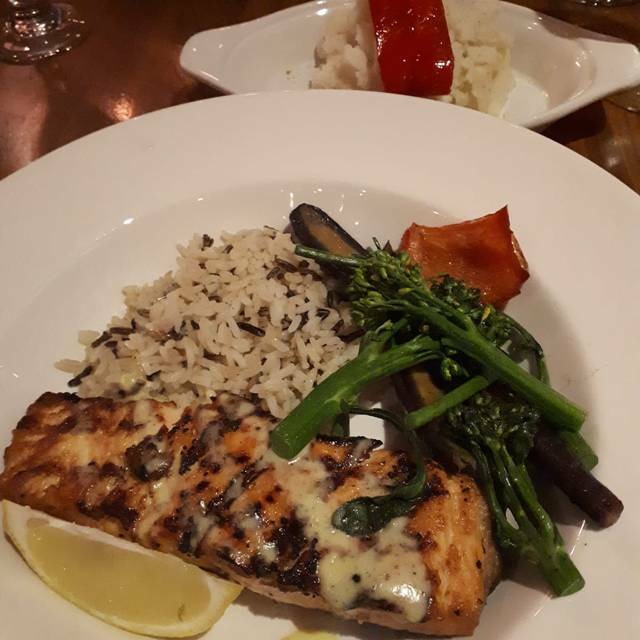 Non seulement la nourriture est toujours excellente mais, l’accueil et le service sont impeccables! Un gros merci tout particulier à Frédéric qui a accepté de modifier ma réservation malgré les 900 clients qui étaient attendus pour le brunch du dimanche de Pâques!! Nous avons eu un accueil chaleureux,je recommanderai ce resto à tout le monde.le buffet de Pâques était énormément varié et délicieux bravo! Merci Serge! Toujours un plaisir!! Très bon buffet et le personnel est aux petits soins :) ! 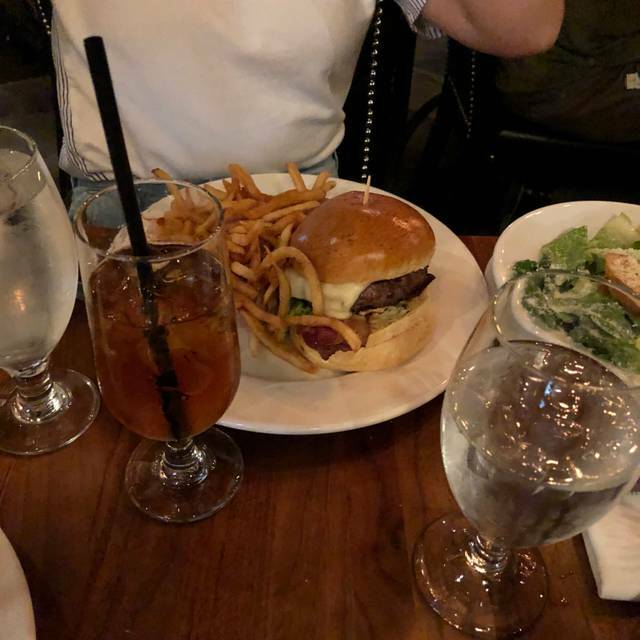 I was sitting on the mezzanine St Jean at first with my family but the manager was able to change place because I felt that it was too crowded. They should put one table less. Food was very good, would be outstanding if not for missing a salad then having the entrees cool. Excellent all around we are looking forward to our next visit. Great food and venue. Our server was very attentive for my group of 13. Just great place and helped make my friends bachelor party dinner very special and memorable. Food is mediocre. We were a group of 14 for a business dinner. The steaks were a hit and miss for the group. Mostly a miss! The cooking of the steaks were off for most people. I ordered a rib steak, which should be marbled. 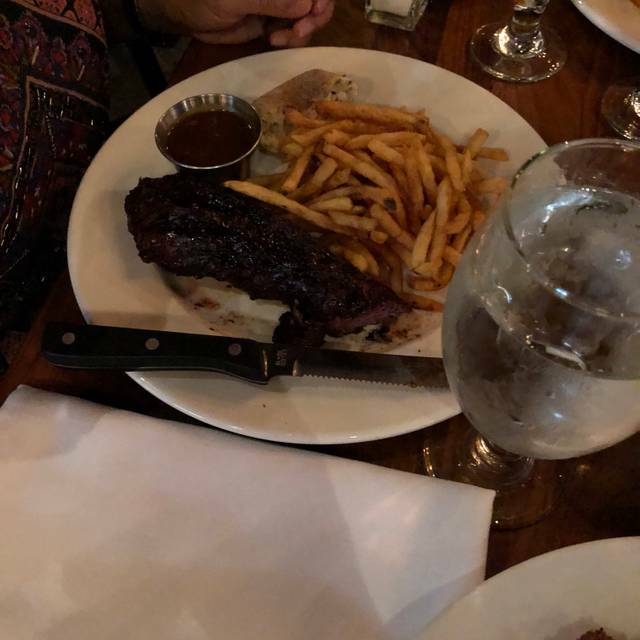 However, almost half of my steak was pure fat! (Very disappointing). 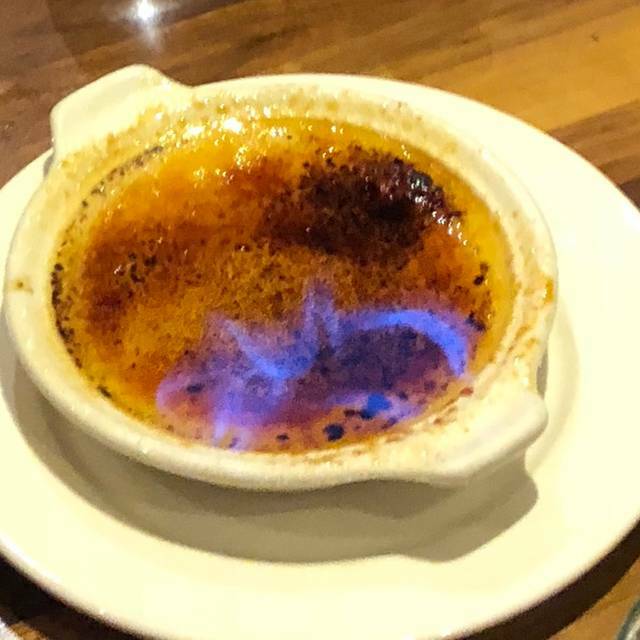 I am a big fan of Creme Brûlée. However, this was a big disappointment as well. No visible vanilla bean, and rather lumpy. I wouldn’t be surprised if it was made from a premixed package. In summary, service was decent, but food was off. For the price, you can definitely get better value elsewhere. Great place, the foods are really good and the, I can't wait to get back. Steak were bland but well cooked to our liking.lamb rack over cooked. No lobster or lobster tails was replaced by shrimps that were good but small langouste tail. Server was very good and funny at least. Really was disappointed for our first time. Poor value for the price. Mes crevettes à 7$ l’unité était froides et beaucoup trop cuite , après en avoir fait part à notre serveuse elle m’a répondu qu’elle n’en parlerais pas au cuisiner pour éviter d’entamer une chicane avec lui et qu’il la priverais de ses repas gratuits . C’est inacceptable comme réponse . L’hôtesse et la suiteur avaient d’ailleurs aussi oubliés leurs sourire à la maison . Manque de professionnalisme pour une restaurant de ce genre , c’est dommage . Je n’y retournerai probablement pas de si tôt . We ended up paying our drinks and leaving..
We went on a monday night for my bday. Allan our waiter was already waiting for us at the entrance. We were a party of 14 the restaurant was not that busy. He was friendly and patient with us. Took everyone’s order made suggestions and switched drinks for us when we didnt like them. The food arrived pretty quick and everything was fresh and hot. The food lacked a little bit of flavor and the lobster pasta was a Little oily and salty but that was it. I had a cake which he helped cut and serve for us. My first dining experience there was not great but this time i was happy. Will definitely recommend. Delicious food, great ambience and an overall wonderful experience. Our second time here and will return whenever we are in Montreal. Only issue was the the robotic, monotone deportment of our server. Amazing service, beautiful location, affordable for delicious food! Thanks Chelsea, very glad you enjoyed! We had a business dinner at Vieux-Port and received excellent reviews from our client. 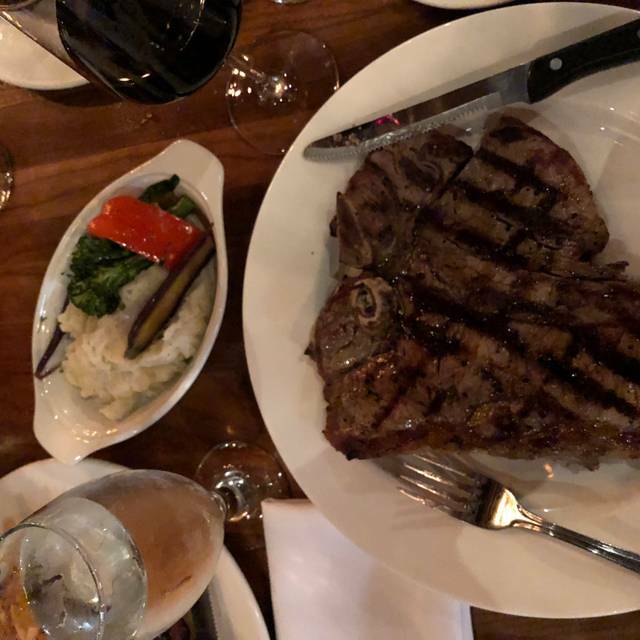 Service was excellent and steak was exceptional. Thank you to all the staff who accommodated our group and who provided an exceptional service! A great big thanks to David, you’re awesome! Amazing dinner experience! Everything from the service to the food was outstanding. Highly recommend. 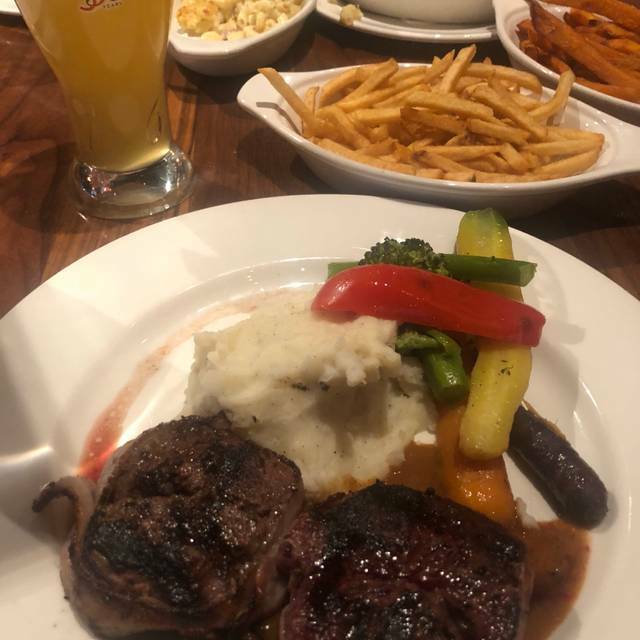 Authentic style, very nice poutine (my first asvisiting European), great juicy steak. Best steak I've had in a long time. Batali's .are cooked perfectly! Staff was great. This is one of the nicest steakhouses I’ve been too. The staff were very accommodating and friendly and the food was absolutely amazing!! We were a group of 9 from Boston . I’ve been there before and absolutely loved the food . We had the escargot and it was delightful. We also ordered the calamari and the salmon tartare. Most of us got steak and lamb chops. The highlight dish was the Bison . It was flavorful and tender. Had a great time . Oh the bartender downstairs was very entertaining and made us ladies a very delicious Long Island . Great atmosphere, great service, delicious rib steak!!!! From the lovely atmosphere to the gluten free/diary free options... it was amazing. Our waiter was very professional and the food was perfect! There was a large group making alot of noise, which we honestly didnt mind. Regardless we were given a discount on our final bill for the inconvenience which was definitely not expected. This was our second time eating here and it definitely wont be the last! Amazing place! The food was delicious and service was fabulous. Will be back next time I’m in Montreal for sure!! The waiter was distracted, the food was not at best of what we had previously with a hefty pricing for small portions. The seating was poorly chosen, overall disappointed in service and quality of food. Definitely dine again when we are back in Montreal . Mes amis pour qui c'etait la premiere fois, ont vraiment aimé et disaient revenir. Très agréable comme place. Merci Djou pur le commentaire! Comment aurions-nous pu atteindre le 5* étoiles selon vous? Quels points d'amélioration voyez-vous ? Merci de nous revenir, nous apprécions vos idées! Awesome service. Food was amazing! We were celebrating a birthday and they brought a piece of cake with a sparkler! Hi RobV, Very sad that your wife didnt get a properly cooked piece of meat. We really wish that you would have said something, because our main objective is to satisfy our customers. Error can occur of course, but it is our absolute pleasure to correct them. We would have recook another piece and make sure that your night was perfect. Besides your wife's cooking problem, how was the rest? Hope to see you back soon!